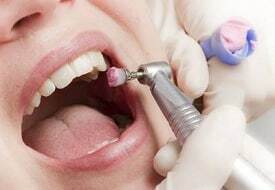 Dental Cleanings are important for maintaining healthy teeth and gums. Make your teeth Pure, Fresh and Clean. Tooth brushing is a blind process. You do not see your teeth while you brush. No matter how meticulously you brush there is bound to be some debris being accumulated every day. This food deposit hardens over time to form calculus which in turn loosens teeth, causes bleeding gums and bad breath. It is recommended to get your teeth cleaned professionally by a dentist every six months. This will go a long way in maintaining a healthy oral hygiene throughout life.